This post is the last you'll hear from me for a while, probably a couple of weeks at a very minimum. Remember The Big Fall in June? Well, they did about a thousand different tests and scans on me during the two days I was in the hospital. And though I didn't break any bones, and it was determined that the fall was not due to any cardiac problems, they did find a tumor on my right kidney that was determined to be cancer. As it turns out, falling was a lucky thing, since the dr told me that by the time I had symptoms, there might be very little they could do for me. So on Monday, July 28, I'm having surgery to remove the tumor. Hopefully that will take care of it, but if not, I have every confidence in my doctors. I've been told that there is a good chance that I'll be just fine, I just need time to recover. I'll be off work for 6 weeks, and I'm hoping that soon I'll at least feel good enough to check in here, and read all of your blogs. If you would, please keep a kind thought for me, and if you are the praying type, I would appreciate a prayer. I'll be back as soon as I can be. I didn't realize how long it had been since I'd posted. I've been busy with dr appts and such, and working extra hours to cover the time I'm not there because of said appts. I have been trying to think ahead about projects, particularly gifts for people. I have another great-niece arriving in mid-September, and I have decided I will knit her a Yoked Cardigan - though I haven't decided on the yarn I will use. Then I want to knit that new great-niece and Baby Penn, born in May, hats for the fall/Halloween. I have the yarn for those, so that's something I could get underway any time (as in, not the week before Halloween ...). 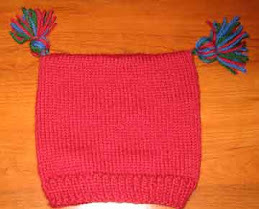 My niece Amanda turned 40 last December, and I had planned to knit her something special, but completely forgot. I have some really lovely pink lace yarn (pink is her favorite color), and have been looking for some simple shawl projects. Simple because lace and I have some issues, and also because I'd like to get it finished before she turns 41 ... ;-) If any of you have suggestions, feel free to let me know. Then there are various things floating around in my head, and if I want to make them in time for birthday and Christmas gifts, it might be a good idea to decide now and start sooner rather than later. Thank you by the way for the great suggestions for my gifted handspun. For now, that is on the back burner while I try to get myself to focus on gifts. Not that I want to - or even could - knit for everyone, but there are some special folks who both deserve hand knits and truly appreciate them. Those are the ones that I am always thinking about for projects for me that become gifts for them. Other than that, I don't really have a lot that I am working on at the moment. I am on sock #2 of a pair of socks for myself, which I would really like to finish this week. It could happen, I'm on the gussets right now. And I have a couple of other things in progress, though not too far along, so putting them to the side for a few months would not be a big problem. What have you been planning to knit? Once upon a time, there was a knitter who "met" another knitter via *another* knitter when her cat died. Her knitter friend connected her with the other knitter, who had found a stray cat with an amazing resemblance to the original knitter's late kitty. It turned out that they were both librarians as well! It was too soon for the original knitter and her husband to adopt another kitty, and by the time they were ready, the stray cat had a happy home with someone else. Which is of course a good ending to that part of the story. By this time, the original knitter had started following the other librarian knitter's blog, and then friended her on Facebook. The other librarian knitter talked a lot about how she had become obsessed with spinning, and would post pictures of the prettiest yarn that she had spun. Then, one day the original knitter visited a nearby yarn shop, and saw a skein of yarn that she just loved. Turns out, it was the other librarian knitter's handspun! But the original knitter was already spending too much that day, so she left it behind, but sent the other librarian knitter a FB message complimenting her on the yarn. Fast forward a year or so, when out of the blue, the other librarian knitter contacts the original knitter, asking if she is interested in the yarn - at no cost! (See #2 in this post.) Well, the original knitter was not going to say "no" but she did want to offer to buy the other librarian knitter lunch or something as a friendly gesture. So they agreed to meet one day after work for a drink. Meet Lovestruck Zebra - 220 yards of Romney wool, worsted/aran weight, and ready for a project! Isn't it pretty? The colors (which are not captured perfectly well here) are a variation of deep reds to dark pinks, blacks to grays, and a little bit of white. I truly love this yarn! And I can't believe that it was just gifted to me, though I am truly grateful and happy about that. In order for this tale to end happily ever after, though, I need to decide what to knit with it. The tag said it would be good for mittens, but I just haven't decided what I'll do. Feel free to suggest projects in the comments. June resulted in four books read, mainly because the first one I read was a long one that I took my good old time with, since I wanted to savor it. I also enjoyed the other books I read, but they didn't take me nearly as long to finish! What did you read last month? Here's my list. One Summer : America, 1927, by Bill Bryson. Oh how I enjoyed this book! I appealed to so much that is part of my personality - history-lover, trivia-lover, person who is nosy, facts geek, baseball fan ... well, I could go on. But I did like this book so much. It also served as my "seasonal" book, and was a great way to start the summer. I had never really considered the confluence of events that occurred in 1927, particularly in the summertime period covered by Bryson. Lindbergh, Babe Ruth, Al Capone, Warren G. Harding, Calvin Coolidge, Prohibition, and so much more was part of this time period, and Bryson manages to bring it together in an enjoyably readable fashion. He also does one of those things where he points out what person/event was going on when he is discussing another. I liked Bryson's writing here, as there was a lot that could have been incredibly dry and dull. Instead, he was able to present it in a way that engaged the reader, and occasionally provided some funny quotes and commentaries along the way. Well worth the time it took me to get through it. An Unwilling Accomplice, by Charles Todd. Nursing sister Bess Crawford is asked to accompany a wounded soldier to a medals ceremony with the King of England during her leave from the fighting at the front in France during World War I. She sees it as part of her duty, and makes every effort to help the soldier in her care, Sergeant Wilkins. But after the ceremony, he says friends of his will be joining him at the hotel, and begs her to allow him to host them without her interference. She makes the exception, and the next morning he has vanished. Right at the beginning of her search for him, she learns that he is suspected of murder in a small English village. Both to resolve the issue (Scotland Yard has become involved), and to restore her good name (she is suspected being an accomplice, and suspended from the nursing service), she takes it upon herself to track down Sergeant Wilkins and determine just what has happened. Her decision takes her to some small villages outside of London where she only gets so far before things get really complicated. Along with Simon Brandon, her father's former aide and a family friend, Bess tries to figure out who is who, and just what has happened. With a lot of mistaken identity and family secrets, this book moves along in a small geographic area where the mysteries keep lining up. With due diligence, Bess and Simon finally find out who's who and what happened. The Weed That String the Hangman's Bag, by Alan Bradley. Flavia de Luce, child chemist and detective, is at it again in this second installment of the series. This time, she befriends a well-known puppeteer with a BBC show and his assistant when their van breaks down in the village. The vicar convinces the duo to do a show for the residents while their van is being repaired. The show draws a big crowd, but during the second performance, the puppeteer is murdered. This means that Flavia is again challenged to use her wits and her science to solve the case. Between the pregnant assistant, a German POW, and a little boy in the village who hanged himself years ago, there's a lot to keep track of, while also dealing with Flavia's unbearable older sisters and a visit from her Aunt Felicity. But, being the determined type that she is, Flavia perseveres, and eventually the murderer is identified and other secrets are revealed. This was as enjoyable as the first in the series, since I find Flavia to be an entertaining character. Jeeves and the Wedding Bells, by Sebastian Faulks. This book will never be, nor does it claim to be, as good as P.G. Wodehouse's Jeeves and Wooster books. But with the blessing of Wodehouse's grandson, Sebastian Faulks has written this book as an homage, and says in the introduction that he hopes it will make people read Wodehouse again, or even lead them to it for the first time. As the story opens, Bertie Wooster is acting as Wilberforce, the butler/manservant to Lord Ettringham, who is actually Jeeves, while they are at a country house. As usual, one of Bertie's friends has asked him to come down and help resolve a situation involving a complicated engagement. And of course there are myriad reasons why he cannot visit as himself. One of the engaged couples includes a woman named Georgiana who Bertie met on a trip abroad, and was quite taken with, and who Jeeves feels is smitten with Bertie. As usual, the plans to help cause numerous misunderstandings, and create a need for further invovlements in the original scheme. Bertie's usual crazily-named friends are here, or at least mentioned, and Jeeves' usual wisdom and quotes appropriate to the situation (usually completely lost on Bertie) are uttered. I absolutely love Jeeves and Wooster. The stories and the characters are all so ridiculous and enjoyable, and somehow it all works out in the end. I am not generally one for books using characters and similar situations written by others after the original authors are dead, or who write prequels or sequels. Having said that, I think Faulks did an excellent job here. He has managed to keep the flavor of the time period, and stay true to the characters and the ridiculous shenanigans. It's not really P.G. Wodehouse, and it's not claiming to be. But I think it's a respectable effort, and I would like to think that Wodehouse, Bertie, and Jeeves (and possibly even Aunt Agatha) would be pleased. Four good books - an enjoyable way to kick off summer reading! Happy July 4th from Philadelphia!